SORRY I AM FULLY BOOKED AT THE MOMENT. 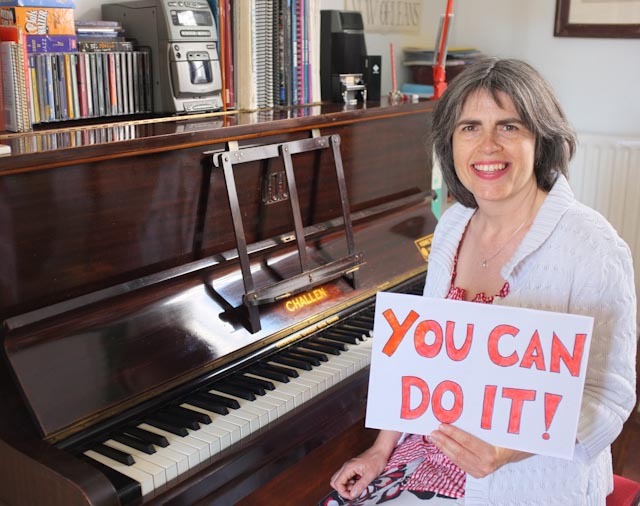 So you live in Cheltenham and want piano lessons? Great! Maybe you’re an adult beginner, or you’ve been playing for years but want to try something new. Perhaps you gave up as a child and would like to start again. I teach adults (only) from the age of 18 to 80 and beyond! Yes if you’d like to be able to sight-read AND play by ear. Yes if you’d like to build a repertoire of your favourite jazz, pop, blues, or classical tunes that you can play anywhere, with or without the music in front of you. Yes if you’d like to take exams, but want to take ones that will develop you as a musician and not just teach you to read notes on a page. Yes if you dislike taking exams, but still want to feel a sense of progress and accomplishment.